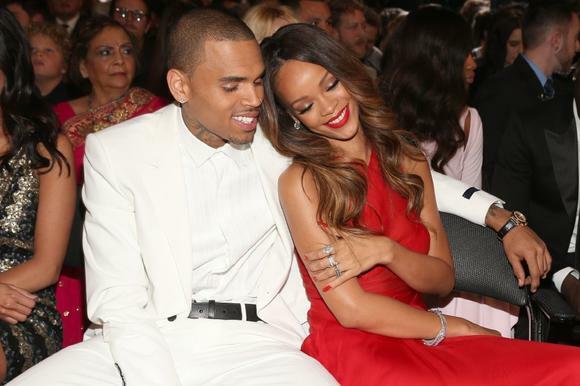 Rihanna Calls Chris Brown The "Beast I Fell In Love With"
Rihanna is likening her past relationship with Chris Brown to the fairytale story of beauty and the beast. Rihanna took a jab at her abusive ex-boyfriend during a promotional run for her new animated film Home. Speaking with her co-stars Jim Parsons and Steve Martin, Rihanna was asked which is her favourite animated film of all time. Rihanna was referring to the 1991 Disney classic animated film Beauty and the Beast. 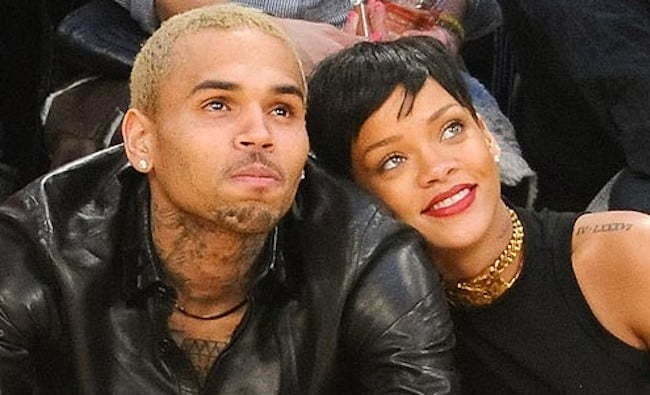 While Rihanna didn’t mention Chris Brown by name you can recall that her relationship with Chris Brown was one of the most painful celebrity romance to unfold before the public eye. In 2009, Brown assaulted the Bajan pop singer leaving her battered and bruise. He was sentenced to five years probation and has served time in jail. Since their dramatic split in 2009, the former couple rekindled their romance twice before calling it quits again. These days they remained friends and occasionally speak to each other. The DreamWorks animated film hit theaters on March 27. This is Rihanna’s first animated film. WHY IS RHIANNA SO SUDDENLY BITTER W CHRIS??? All b4 now he was “prince charming w a bad attitude and now that judge released him off probation, came out about daughter, Royalty and decided 2 remain faithful 2 Karrueche even though they’re apart; so this inquiring mind NEEDS 2 know why and what triggered all the DISSING from Rihanna!!!!! Even after sending presents 2 daughter and giving advice 2 Karrueche bout staying away. COULD IT BE THAT RHIANNA IS REARING A EVERY UGLY FACE BECAUSE CHRIS HAS PLANS 2 TAKE OPRAH 2 COURT BEHIND INTERVIEW W KARRUECHE???? What girlfriend NO Chris didn’t attempt 2 sue neither Oprah nor Diane Sawyer in ’09 after you had interviews concerning assault and what his present actions 4 Karrueche (or Ms rice cake, as Rhianna called her) IS totally different; confirms HIS LOVE 4 her!!! Something that Chris was determined 2 never let her or any woman know!!!! Well he has exposed his emotions, vulnerability and need 2wards Karrueche; the one who withstood all his disrespect, vulgarity, cheating, humiliation, embarrassment, lies, deceit, promises and anger!!!! YET IT WAS HER WHO HAS KEPT HIM GROUNDED; GROUNDED SO HE COULD BE W HIS CHILD AND RELEASED FROM PROBATION!!!!! Something you couldn’t do no matter HOW MUCH Chris loved you……. Shut up get facts first before u talk. Non of what u typed made no sense, I wonder if u are related to them & Oprah did not interview Karrueche neither I don’t see why Oprah would waste her time. What didn’t make sense 2 you??? I spoke ENGLISH or is it that you speak, read & comprehend ANOTHER language perhaps!!!! I think she said her dating life not specifically Chris Brown. Stop taking things out of context following the headline. Don’t see any innuendo about the situation with Chris Brown.